I have a lot to share on this topic. Much more than could be contained in this post. I also have a strong bias on all of this, so be prepared for that. However, from what I’ve experienced and seen, most of that talk and focus on mission and purpose leads to confusion, frustration and dead ends. So, let’s see if we can add some clarity here. I agree that we all have a mission and purpose that drives what happens in our lives. There is something specific we all “came here” to do and experience. Our mission and purpose was decided on before we came here, and planned out in advance with a lot of detail. An “Intelligence” greater than your own chose the mission, purpose and plan, and executes the plan from behind the scenes. I’ve called that Intelligence many things: Director, Inner CEO, Expanded Self and now True Creative Essence. This Intelligence is driving the bus, from behind the scenes, and has the Power and ability to make sure your life purpose is fulfilled. Key Point 1: Intelligence always manifests your life purpose and plan with All its detail. It never fails and nothing can derail it. Now we get to the critical point and the “error” made by so many people who talk about life purpose and the purpose driven life. Some people are consciously aware of their purpose in life. Others are not. Some people think they know what their life purpose is and their vision is accurate. Some people think they know what their life purpose is and their vision is not accurate. 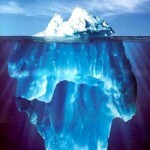 Even if there’s some awareness, it’s usually just tip of the iceberg. Key Point 2: You don’t need to “find” or consciously know about your life purpose in order for it to be fulfilled. Conscious knowledge is irrelevant. It will be fulfilled regardless. As I said, Intelligence, who has all The Real Power, and is the one Truly driving the bus in your life, will see to it. OK. That’s a good start. Let me know your thoughts and comments and know there’s more to come on the topic of life purpose and the purpose driven life. P.S. If you’re a Phase 2 or Phase 3 Player, you know I’d language all of this quite differently! How Much Of “The Real You” Is Expressing Itself In Your Life? Is it true that you should focus more on what you are inspired to do, or does it matter. I have focused on things I was inspired to do and wish I hadn’t because of the financial stress. Other times I didn’t do much waiting to be inspired and wasn’t, and wasted time wishing I had done something financially useful. This is a complex question. Ultimately, it doesn’t matter for the reasons shared in the post. However, until such time as one is playing “in the sunshine” as I call it, and has clear Seeing of Truth, as a practical matter, it does help to focus on what one FEELS or is “inspired” to do, versus simply relying on logic and intellect. However, feelings and inspirations can be distorted and often seem “true” when they’re not. From my experience, the “ultimate solution” is to apply The Teachings to knock out the cloud cover. When that happens, what one feels moved to do, what one is inspired to do, is always aligned with Truth. Really then we only have a life’s purpose within consciousness anyway and ‘out there’ is redundant …finding life’s purpose etc is another suckhole in the Amusement park. What a blog Robert. Truly a wonder to help knock out come cloud on that one. I totally agree with Robert. I don’t know my life purpose, but I intuitively feel that it is true if I relax, be at peace and don’t listen to my mind (ego), the Intelligence will guide me. Though I’m experiencing financial difficulties also I realize that there are some energy blockages (clouds) somewhere deep inside of me that don’t allow me to experience abundance in my life, yet. It looks like the Intelligence brought me to this financial experience to help me to discover those blockages and get rid of them. So everything works perfectly as it should be according to my life purpose. I love the question and reply, very supportive. As witnessing is most enjoyable and relaxing this makes one recall eggs. ES is truely giving cookies as Robert once said and memories make the presence more real. To live with no fear or regrets and just enjoyment is fun. Wouldn’t change a thing. I love the statement Robert once said, you can’t make a mistake!!! As to a response in regard to the question, surprisingly enough it is neither here nor there in my mind machine. I am very nuetral and have no opinion one way or the other. Great post, Robert, as always. I remember last year when you did a conference call where you told us about your True Creative Essence expansion packs that were coming up. You said something like “if you’re supposed to sign up, you will, you won’t have a choice”. I thought, yeah, right, don’t have the cash for that right now. Within two days, I received an “unexpected” check in the mail that let me purchase the course and gave me money left over. When I got that check, I knew what it was for. Never had any thoughts about doing anything else with it and I’m so glad I did because it totally changed the way I look at “my” life now. Thank you! I think that living life and playing in the amusement park is the only purpose worth living for. I don’t think the outcome is really as important as most would like to think. Years ago,, I listened to a speaker who said essentially the same thing as Robert. He was a Sikh face reader who used a lot of humor. He described the power behind the big-picture, behind-the-scenes aspect as “The home office” and would say things like “the home office has been working its tail off for you,” which I found hilarious. At first I was put off by the guy but later I grew to appreciate the depth of his insights. As always, just the perfect thing to read at this moment of my game! Trust is the word that comes to mind here….in the rules, in the game in the intelligence. Seems immensely rewarding, fun and expansive. There is something lovely about knowing I can not be outside or even out of alignment with my Life Purpose. This is an extremely supportive post for me right now, as someone created to agonize over “doing it right,” or not wanting to “screw it up.” Cindy’s words above describe the expansion process beautifully. We are pretending not to know about trusting, letting go, and relaxing. Thanks Robert! I’m sooooo cool with this. in my movie experience I’m experiencing discovering my life purpose and feel extremely motivated to follow along that line. I’m experiencing loads of action towards many goals related. and the money just comes in when needed! I don’t have a Job as such and just freelance my skills. I’m enjoying the ride, as I’m really opening up to the knowing that intelligence is running the show, it takes the pressure of me having to work it all out intellectually. So I’m really enjoying ‘knowing’ that I’m just here to experience and be creative. The cloud cover was thick and heavy and I seem to have busted loose from the financial lack cloud! Although I’m not experiencing millions of $ flowing in, I’m finding it cool that it just happens when it happens and I find myself enjoying the act of stepping into the ‘unknown’. never really know what will unfold but its always pretty interesting to say the least! I’ve transitioned from heavy intellect and analytical self to allowing things to unfold and to acknowledge things just happen when they happen. I’m giving up the illusion of ‘control’. the human experience is far more fun this way. I absolutely love your perspective on all this. I find myself smiling and laughing at the most ‘odd’ things that just happen. its kind of like intelligence is just having a joke to see what my reaction will be? I still experience deep emotions which is pretty amazing especially when I dive in. I had surgery recently and I found ‘going under’ was simply amazing! so your wave 1 program took me on a pretty cool journey and had a profound impact on my whole experience. Supportive and on the mark Robert. Thanks. If I use the coaching and self-help script for “finding one’s life’s purpose” then I don’t measure up and don’t have one and do not see one: big regrets to not have been someone!! [ego] But if I allow myself to let it be and just get on with playing, sans missions except the stuff of daily keeping the amusement park maintained and playing with some ‘work’ , no driver to be someone, no expectation to fuel that ego, then I get glorious feedback from a few characters in the moive that I am certainly ‘someone’ in their lives. The peace comes, in this instant from not needing any of it. Love the post Robert. Thanks to yours and others teachings, I can now read posts like this and say I am living that, rather than say, I so wish I was living that. Thanks so much for pointing the way to acceptance, appreciation and truth. Robert- Thanks for this dynamite post!! I love your blog about Life Purpose, Robert. Finally I am relaxing, it seems, as I am no longer searching for my Life Purpose. It seems to show up in all (my) interactions, making all relationships part of life`s purpose. All interactions are equally purposeful and becoming more and more joyful. Thanks for pointing out this wisdom. Enjoying the ‘RIDE’ – “merrily, merrily merrily gently down the stream” wherever that flow might take me. Thanks Robert. Israel – the wave in the Ocean. It is very simple all our purposes are to wake up & become more aware of how the game is played. Your purpose is to awaken it doesn’t get any simpilier. As I SEE it, all our purposes are to play, explore, and express creatively. There is not a global purpose to “wake up” although that is a game many, including me, enjoy playing. Every moment I’m fulfilling my purpose. It’s just a matter that I know it or not. And yes Robert, we can never get it wrong. We can never “screw it up”. We are infinite beings, how can we? It’s just what games we like to play. It’s all a game, even the game of purpose. Life is a joke and to laugh is the purpose. Robert – I happen to agree with your ASSERTIONS. But – by your own previous understandings you should know (and admit) that these assertions of yours form the reality of your experienced world. Someone operating from an Assertion Field that is highly different than yours will have a highly different experience… his or her world will verify the assertions he or she is working-from, as “true” and your own assertions will appear “false”. Yes, of course, … and … so what? Truth is Truth. huh? what do you mean “truth” is “truth”? What do you think “truth” is? I think that “truth” is that which is believed sufficiently by an individual who has obtained a state of creative capacity… when such a person believes something… this something comes into being. Likewise a person with such capacity can believe another thing out-of-being. When either of these happens quickly and especially, instantly, then it is called “miraculous”. Therefore “truth” comes from the creative eye of the beholder. What other “agents” participate in such goings-on, I am not yet understanding. That is, the reality of angels, entities, devas etc. as co-workers is for me an open question. By the way, why does your website think it is almost midnight? In Colorado it’s only nearly 5PM… so either you are out of the country or your website is… or perhaps you and your website are “out of time”? Sit with that for a while. “Perception” and “opinion” can be all over the map, as you suggest, but ultimately, The Truth is still The Truth. I don’t know about the website time. What an inspiring article! So to the big question: What is my purpose in my life ? finds its ultimate answer in the Higher Self or True Self, without any effort, any search, and in an easy way. You book, Busting Loose from the Money Game was a revelation to me. I already had those weird experiences you talked about. I’ve noticed ecently that before I begin doing “the Process,” the humor of many illusions becomes very apparent. I continue to be dedicated to reclaiming my power, but I’m in a place now where many times I can laugh about it. What a shift. What you have written about “Life Purpose and the Purpose Driven Life” resonates with me. However, I do not understand how this “True Creative Essence” continues to drive the bus making life so difficult for the individual to the point where the individual contemplates suicide and actually executes it. Why would a loving “Expanded Self” allow this to happen? Or would it be correct to say that suicide was also part of the Plan since “Intelligence always manifests your life purpose and plan with all its detail. It never fails and nothing can derail it. It would appear the True Creative Essence is “heartless”. Lewis: There is no brief response I can give to your perception that True Creative Essence (TCE) is “heartless” that would have any impact. It’s not True, of course, it just appears that way. But getting through all the layers of what I call lies, illusions and stories to actually See and Experience it is tough. If you really want to KNOW the answer, not just understand it intellectually, but EXPERIENCE it, I’d suggest you check out the “Being In Truth Experience” on this site. You can find it in the store under online courses. I was watching my 2 year grandchild and come to conclusion that “this is it”. He eat, sleep and play, and in the process he is happy. He does not care what happened yesterday, he does not care what is going to happen tomorrow. He lives his life purpose every moment, NOW. It is when we interfere with our set of rules, we stuff up and then ask what has happened to the kid? and yet I am not obsessed with it. If I decided that it is my life purpose and I don’t reach it then I will be disappointed like every other person. I am like my grandchild, enjoying every moment, without worry about tomorrow, and tomorrow is always like today. I dont judge and I sleep peacefully. If I try to search for my life purpose it would be like trying to reach horizon, and it is perfect way to upset the current state of the affairs. Everything just is and nothing is important. Life purpose is interesting topic to talk about as long as one does not get hooked on it. Instead, I would ask question: Why I want to know? for myself? to share with others? and then what? I don’t think that anyone would like it to be a negative one, but something nice, good, fulfilling – and isn’t that a wish, hope? At the end you not going to ask somebody because you might not like the answer, so you have to find answer yourself, and the answer will be whatewer you want it to be, but because of limitations of the mind you might not like the answer so you will search and search, and in doing so miss many NOW moments. This little piece of genius has accelerated my drilling through a particularly gnarly section of cloud cover. I have dwelled endlessly in the discomfort that I am not fulfilling my creative potential. No more. I appreciate all of your writing enormously! I’m glad it helped you, Phyllis! My father grappled year after year of his life trying to MAKE himself into something that others would think of as successful. It drove him to the bottle. For the first 3 decades of my life I tried doing the same thing. With the same outcome. Because of the experiences Robert, and others in Phase 2 have shared over the past 8 years, I have relaxed about it all. Now it seems my life is about trusting that the True me who is driving the bus is doing the job absolutely perfectly and all I need to be concerned about is what’s right in front of me to do. What a heavy weight lifted from my shoulders. I have found that I have been on purpose my entire life without realizing it fully. Through all the ups and downs I have grown in so many ways and have contributed in ways of which I was not conscious at the time. I either needed to reflect back on it, or I was later told by someone that what I did mattered. When I try to force things or think I am the one driving the bus, that is when confusion and uncertainty set in. I need to constantly remind myself to stay present and enjoy the ride. I always receive what I really need, when I need it. Everything you do in life is a stepping stone towards something greater, so there’s never a mistake.